Welcome to Make it in Minutes Monday. I thought it would be fun to feature quick and easy cards and projects that take only minutes to make, but look like you spent more time making them. This card was simple, but did take a little more time. I was inspired by Jennifer McGuire’s More Easy Alcohol Ink post and could not wait to get out my alcohol inks and play. Her reindeer cards were my favorite. I tried to order the dies, but they are out of stock. I so loved her card and was determined to design my own dies using my Silhouette. 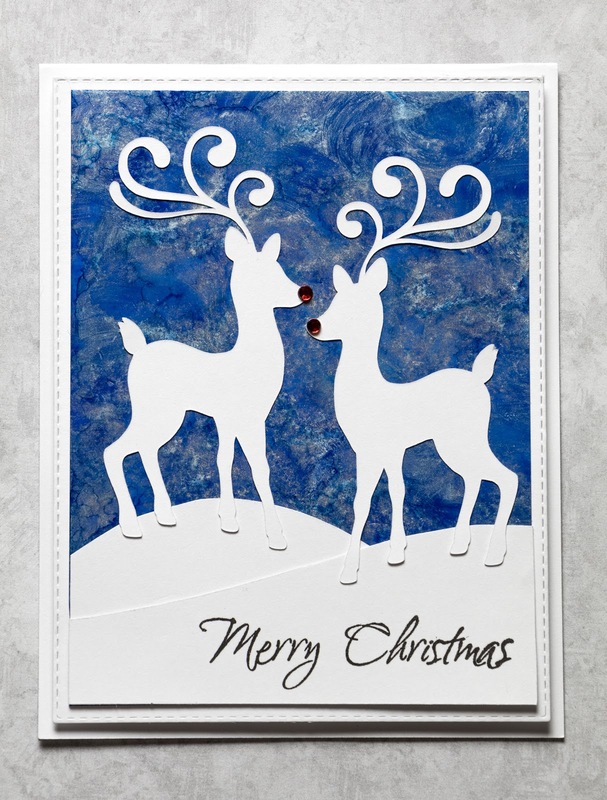 I used my Silhouette to cut two reindeer (#51550) using an image that I purchased from the Silhouette on-line store. 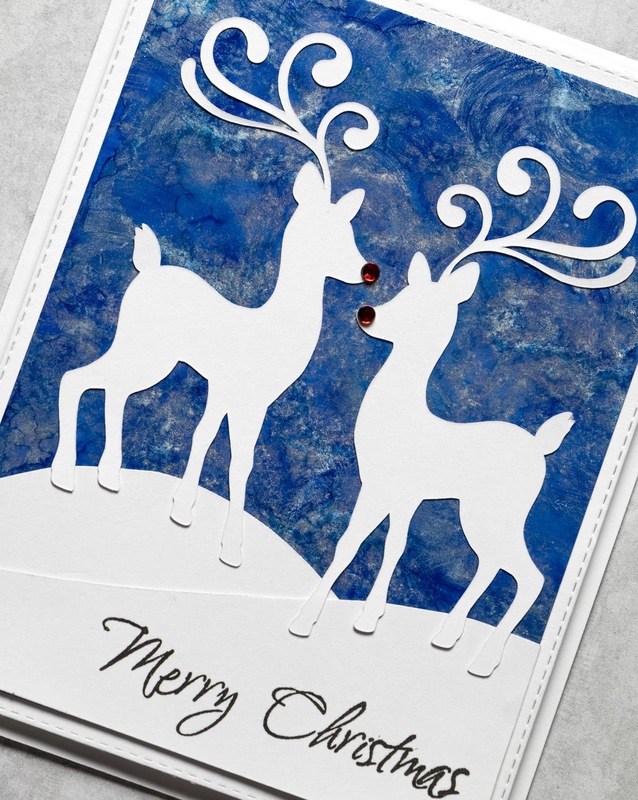 You could probably find a deer image that you could use with your Cricut. Gorgeous card! Your background turned out so pretty!! !